This week has only begun and at least one manufacturer has already brought out their biggest guns. As most have expected, the Nvidia GTX 680M will finally make its debut. The Kepler core itself will be fabricated in 28nm and should have performance levels close to that of the desktop GTX 670. In fact, the GPU will have all 1344 CUDA cores of the GTX 670 but at reduced clock speeds to stay within the 100W TDP. Nonetheless, the 680M will be Nvidia's ace card in taking the "fastest notebook graphics" crown. The benchmarks below have been provided by Nvidia, so definitely take them with a grain of salt. However, Notebookcheck will soon have our own 680M notebooks on hand ready for a full review. 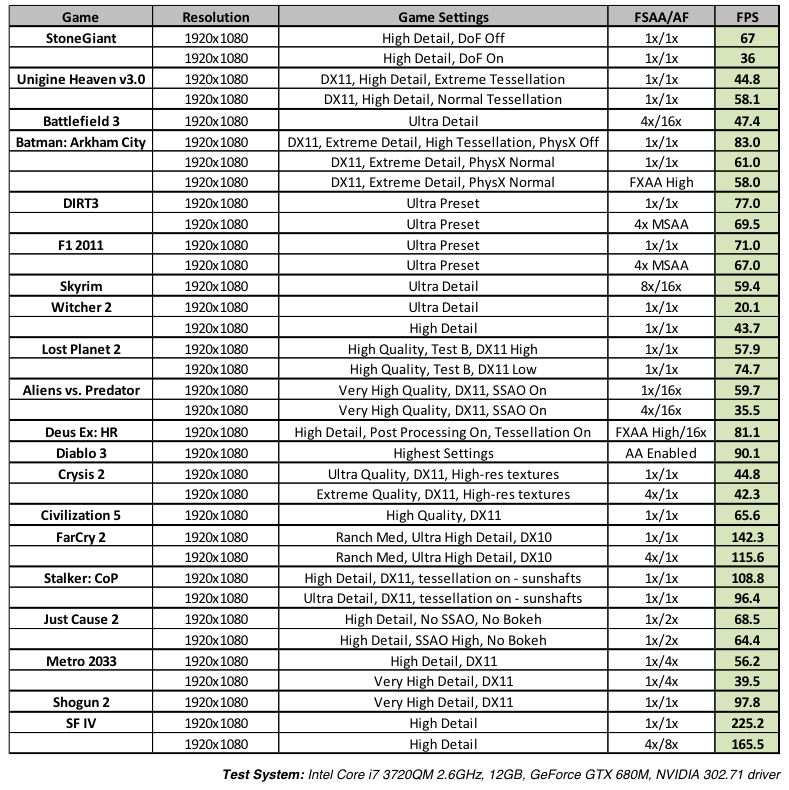 For the full published benchmarks from Nvidia, visit our GeForce GTX 680M graphics page.